Not gunna lie, when Lush first starting doing make-up in the dark ages of 2012, I was dubious. The idea of alternative make-up brands hadn't really caught on yet, and honestly I was a bit scared of their 'no for anything specific' approach. The concept hasn't changed much, and a lot of Lush products, despite being packaged to suit a specific type of make-up, are still labelled as 'face make-up', so they're still happy for you to use their products as you see fit. Liberating yet terrifying. As time has passed I've grown more and more confident when it comes to my make-up abilities. Thanks to YouTube I now no longer sit staring blankly at my various make-up utensils wondering what the hell goes where and, despite not being an expert by any means, can now tell the difference between a blending brush and a contouring brush. Probably. That said, I thought I'd have a punt at one of these 3 ways to wear type posts, with my latest purchase from the Lush cosmetics range. 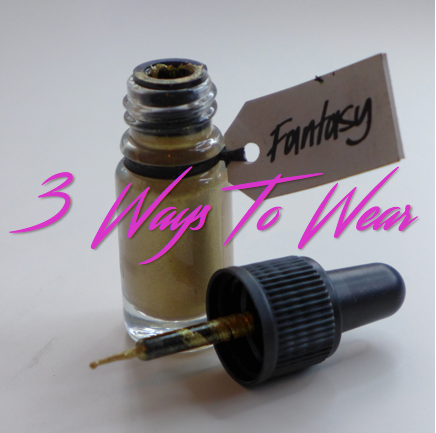 Fantasy is a brilliant sparkling gold concoction that calls itself an eyeliner but is pretty versatile at just being general...make-up. And I LOVE it. It's such a bold, solid gold, has real balls by which I mean it clings on for dear life and doesn't just flake off at the first opportunity and is super duper blendable! So yh, it's pretty awesome, and it being Lush means it's cruelty free, so we're in a guilt free zone here, woo! Without further ado, here's some things I did to my face using this lovely product! This first look is a bit of a bold one, perfect for a New Year's Eve party where you can get away with a bit more sparkle! Using a mixture of the provided applicator and a more precise angled brush, a simply dipped into the paint and worked away with my usual cat-eye flick. I felt solid black mascara would detract from the eyeliner focus, so instead I dipped in a spare mascara brush and added a light coat of Fantasy to the ends of my lashes to finish the look! If you have an eyeliner brush you prefer to use this look is really easy to pull off because the paint literally stays put wherever you apply it, however the applicator it comes with is slightly more awkward to get to do what you want, so if you're like me and have shaky hands my advice would be to stick with a brush you know well. For the second look I went for a subtler use of the gold by applying a layer on top of a standard black cat-eye flick. I finished this look off with a layer of black mascara topped off with Fantasy on the tips. Considering I do it pretty much every day, I like to think I'm pretty good at cat-eye flicks, but this was really difficult to keep straight, and as you can see from my pics I didn't quite get it perfect, but you get the gist! I think this looks great just to shake up a day to day look if you're a regular eyeliner wearer like myself, especially if you drop the gold tipped lashes and just stick to the double stacked liner. It's nice for a change every now and then! This look demonstrates how blendable Fantasy is. Using a few random greens and blues I had lying around (from a palette I got in Japan, I can't read what brand it is, sorry!) I started around the edges working inwards, before finally laying a spot of gold in the corner of my eye and using a blending brush to buff it out. I finished the look with a flick of black eyeliner and heavy black mascara to really open my eye up and make the colours pop! For a product so unmovable once dry, I was surprised at how easily it blended. Like a dream I tell you! And because it's so pigmented you hardly need any product at all for a strong colour. This is definitely my favourite and one I will definitely try out a bit more on those days where I have a bit longer to have a play. So, there we have it, an extremely versatile product in a strong, stayfast colour. I adore this product and can definitely see me getting a lot of use out of it. Interested to see what else I can pull off with it. What do you think of Lush cosmetics? Have you used any other products from their ever expanding range? 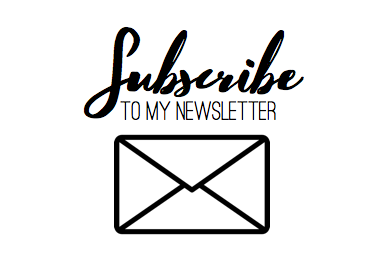 Let me know in the comments, I'm always on the lookout for new and exciting bits to add to my make-up bag!